If you weren’t aware, last Tuesday Google held a product announcement event. 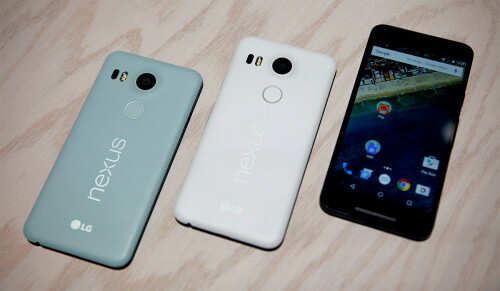 This was very interesting to me, chiefly because of the new Nexus phones that were being announced. About two years ago I bought a Google Nexus 5, either on launch day or shortly thereafter. I’m very glad that I did, it’s a fantastic phone that’s still popular today, and it was about half the price of its similarly-spec’d competitors. The important thing about the price was that it changed the model under which I purchase smartphones: instead of getting them deeply discounted or free through a carrier (providing I promise to stay with them and not change my phone again for two years), I bought the phone outright. I now have a phone plan that costs me $25 a month for unlimited calls and texts, and 2gb of internet and the maximum speed my provider can deliver (it gets throttled if I go over that limit, but even then I don’t pay more). I got that deal precisely because I already owned my device, and because I didn’t buy my phone from the carrier I’m not tied into a contract with them either. If they were to choose to stop offering that kind of excellent value then I can simply choose to go somewhere else. Last year at Google’s annual Nexus event they announce the Nexus 6, and it represents a significant mindset shift that I didn’t like. The Nexus 5 focused on real-world performance and eschewed bleeding-edge components in favour of offering superior value, but the 6 took the opposite approach. As a result it was more money than I wanted to spend on a phone, and it also followed the trend of flagship phones having huge (six inch) displays, putting it mighty close to “phablet” territory. I don’t like this trend. Others felt the same way and the Nexus 6 didn’t see nearly the same success as the 5. That’s why I was so excited about last week’s event: a return to the way of thinking that resulted in the Nexus 5 was anticipated, and in fact many details of the Nexus 5X were leaked in advance. As the event progressed I kept an eye on coverage of it from a couple of my favourite sites, waiting to be wowed, but the wow moment never came. I think it’s because two years ago the thinking that led to the creation of the Nexus 5 was outside the box, almost revolutionary. The idea that a flagship device didn’t have to cost $1,000 was crazy. The model was so successful though that other manufacturers have taken notice since then. OnePlus and Motorola are two notable examples offering fantastic phones that are easy on the wallet. In retrospect, I don’t know what I wanted from Google. It was the revolutionary nature of the Nexus 5 two years ago that blew my mind and this time around I was looking for an evolution that also blew my mind. I got my evolution, but of course my mind remains intact. It also doesn’t help that the Canadian dollar is not performing as well against the U.S. dollar as it was two years ago, so the value isn’t there to quite the same extent. I will probably still buy myself a Nexus 5X. There’s a lot to be said for the pure Android experience, the way that Google intended it (along with immediate updates when new versions are released). What I was hoping for is a phone that clearly offered a better value proposition than the Moto X Play (which I believe to be the best value out there right now). The 5X is a bit better, but also a bit more expensive. It’s a toss-up. I do wish it had wireless charging though. If it weren’t for that omission I’d never have gone on this rant.